Initial coin offerings have been an evolutionary follow-up to crowdfunding. However, both fintech and blockchain rarely stay static for long. A new form of token issuance has emerged alongside ICOs, and it relies on the direct usage of an exchange as a launchpad. Initial exchange offerings (IEOs) are a great means for projects to reach out to investors while making the funding process extremely easy and secure. The traditional ICO communicates through its Telegram and, on a sudden date, releases a smart contract address for token purchases. This form of fundraising has led to an incredible amount of scams as investors are duped into clicking wrong websites, accepting proposals from fake community admins, tricked into purchasing wrong tokens, etc. ICOs are a great way to raise capital for blockchain projects but scammers exploit the existing ICO infrastructure. Additionally, the cryptocurrency space is quite new and many interested investors are used to broker-based investment services. Thus, an exchange-enabled token offering provides a more secure and familiar means of investing in new token offerings. ProBit is created with the single intent of developing the world’s greatest digital asset exchange. Thus, the exchange is soon going to be a pioneer of initial exchange offerings. ProBit’s community-centric vision goes beyond its extremely low trading fees—which go as low as 0.025%, a figure well below the fee structure of other cryptocurrency exchanges. In an effort to benefit the community, ProBit is bringing its ability to operate on low fee structures to even IEOs. Existing exchange launchpads charge up to 20% to projects; this cuts into a large portion of the funds raised from IEOs and this hurts both investors and the project. ProBit’s low fees on IEOs ensure that almost all the money investors intended to provide a project with is certainly provided to the project, while still enjoying the convenience, security, and access provided by a ProBit IEO. Teams benefit beyond just low fees as ProBit’s large and constantly growing community and user base are able to note the projects being listed for an IEO on ProBit. This is a direct market that most other projects would otherwise never be able to access. On top of this, ProBit regularly engages with investors in the South Korean Crypto community; projects will have co-marketing opportunities. Thus, ProBit’s IEOs offering an all-round beneficial service for both investors and project leads. One key issue that could be raised is that IEOs create an opportunity for hackers to walk off with investor funds allocated to project’s token offerings. 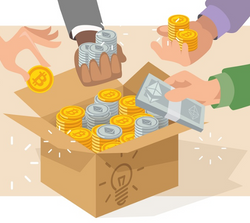 ProBit’s delivery of IEOs makes token sales not only secure for investors by making sure there’s no room for scammers to dupe new members of the Crypto space, but the exchange also leverages one of the most advanced security developments. As the vast portion of funds are held in cold storage, the assets remain out of the hands of any hackers. Moreover, the exchange utilizes world-class security infrastructure ensuring any breach attempts are easily crushed. For an exchange, serving the community is a priority. IEOs aim to do just that by protecting investors from unscrupulous teams. The funds allocated in an IEO will be under abidance with what the project has promised its community. 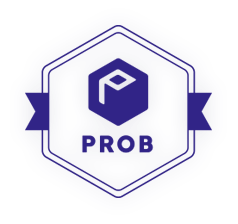 As ProBit conducts a thorough due diligence, projects that launch an IEO on ProBit immediately signal their legitimacy to the Crypto space. Some projects that initially declare a soft cap and fail to hit it often keep investor funds and pursue a project they clearly lack the funds to complete. This leads to a complete loss of invested capital. Initial exchange offerings on ProBit ensure that such scenarios never take place. If a project is unable to keep to its promised terms, investors will be protected and their capital will be returned. ProBit’s entry into the IEO space disrupts the new form of fundraising by bringing highly competitive pricing to the market, despite the exchange’s ability to outdo the security of most other digital asset exchanges. SPIN Protocol, a revolutionary e-commerce system, will be hosting its IEO on ProBit from February 11th. SPIN will benefit from ProBit’s existing reach, while providing its community a secure and easy means to participate in the token sale. While ProBit has just launched its IEOs, the demand is high due to our ability to provide strong liquidity, community reach, and security. There are 5 other IEO candidates for just February. ICOs have been marred with unscrupulous teams and Telegram scammers; the concept of seeking investors to send capital to a contract address listed on a Telegram channel can be easily exploited. Shifting initial coin offerings to launch pads on an exchange maintain the benefits of an ICO while nullifying all the problems. ProBit aims to maintain the most competitive IEO pricing in the industry, just as it has done with its incredibly low trading fees. Be sure to enjoy our new give-aways, contets, and trading competitions! We listed UBEX! Holders and traders are sharing $10,000 in tokens. ROCKZ, a Swiss Franc stablecoin, has been listed. Share $11,000 worth of RKZ. Korean Won Cash month continues till end of February! Deposit Korean Won at https://probit.kr to get lottery tickets for $200 in daily prizes. We always have something fun going on; keep up with all our current events here. ProBit seems to me a very interesting bet, because it gives you security and does not give rise to scammers..!! Excellent article thank you for sharing. We strive to make the Crypto space secure. Its true to find a trusted project in this crowdy place. Every step gets fear be like in some mine. Any projects that want to participate in an IEO can apply through our website. Users can use the IEO platform to participate in the token sales (on the exchange). Really interesting. I'm going to look more into this! Keep up the great content! Happy to have your interest. Great content, You've been whitelisted. Feels good to see ICOs as that's the absolute best way to make money in crypto market. Also when it promises that it can deliver, in an already congested market place, we would be more than happy to invest. Though the Telegram groups have been annoying it can still be used as a huge means of promoting your coins too. All in all, seems like a promising deal to see an IEO like Probit. Telegram channels are great but they can be a snake pit for new investors. ProBit's IEOs ensure token sales remain safe for all. You received more than 1000 upvotes. Your next target is to reach 2000 upvotes.